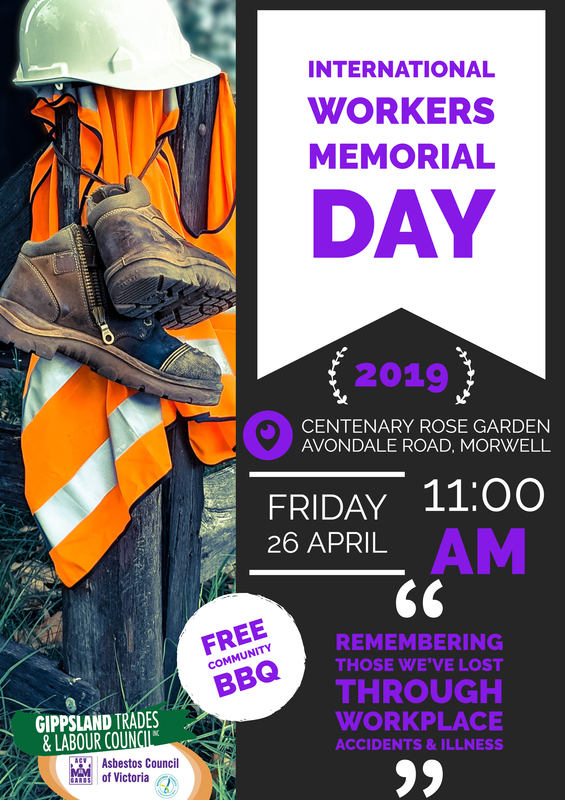 You are invited to join us for the annual combined Asbestos Council of Victoria/GARDS Inc. and Gippsland Trades and Labour Council International Workers Memorial Day event. Centenary Rose Garden – Avondale Road, Morwell 26th April – starting at 11am – Interesting speakers – musicians – ecumenical service and a free community BBQ at the conclusion provided by the GTLC. Everyone is welcome to join us on this day to recognise and remember those suffering illness and those who have lost their lives due to unsafe workplace practices.